Chimneys are built to withstand substantial temperature changes, structural changes, weather changes and usage changes. This is why it is important for the chimney to be lined correctly so that it remains safe and efficient. Every chimney is different and the above elements will impact some more than others therefore an initial inspection should always be carried out by one of our trained chimney specialists so we can determine which of our linings will work best for you and your chimney. What flexible liners do we offer? Single skinned class two flexible liners which are suitable for use with oil and gas appliances. 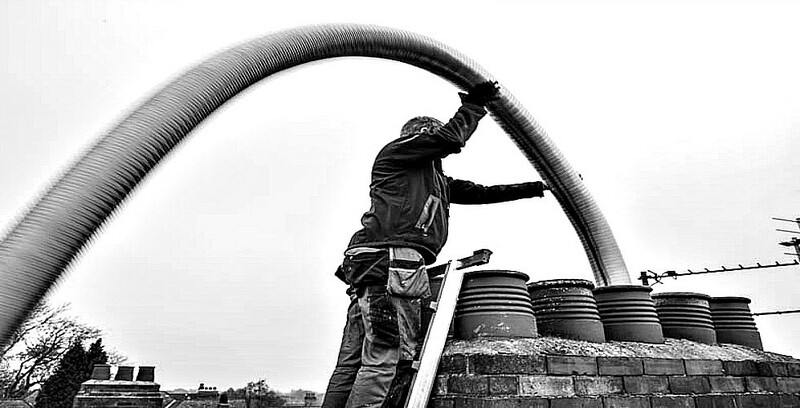 All of our liners are installed by our trained chimney specialists with a combined experience of 25 years in the business and comply with the building regulations. ALS Chimneys provide a professional assessment of your flue to ensure the correct lining size is provided, we mainly install flexible flue liners on Wood-burning and Multi-fuel stoves, small open fires, boiler flues and gas fires.